Officer Mark Fleming and Officer Lisa Sandel were killed in an automobile accident while chasing a stolen vehicle. Officer Fleming had been with the Dallas Police Department for two years. He was survived by his parents and brother. 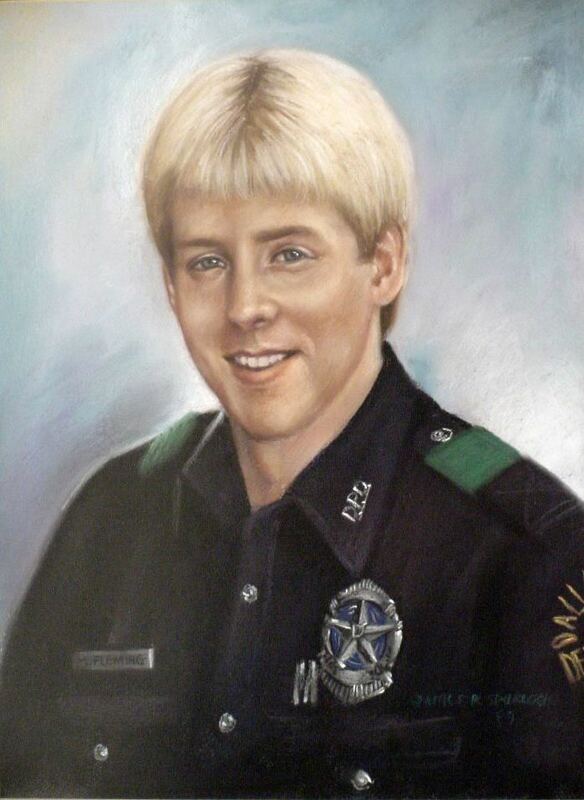 On today, the 30th anniversary of your death I would just like to say thank you to you and your Partner for your service and sacrifice for the citizens of Dallas. And to your Family and loved ones, I wish to extend my deepest sympathy.